The Repeat Software team give you excellent customer service with videos and email technical support. 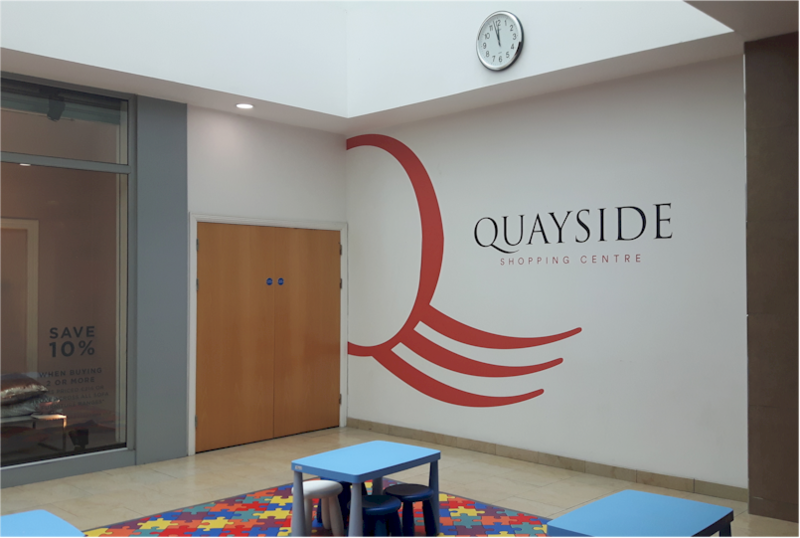 Quayside promotes its stores, news, events, attractions, way finding and information for shoppers on four display screens throughout the centre. 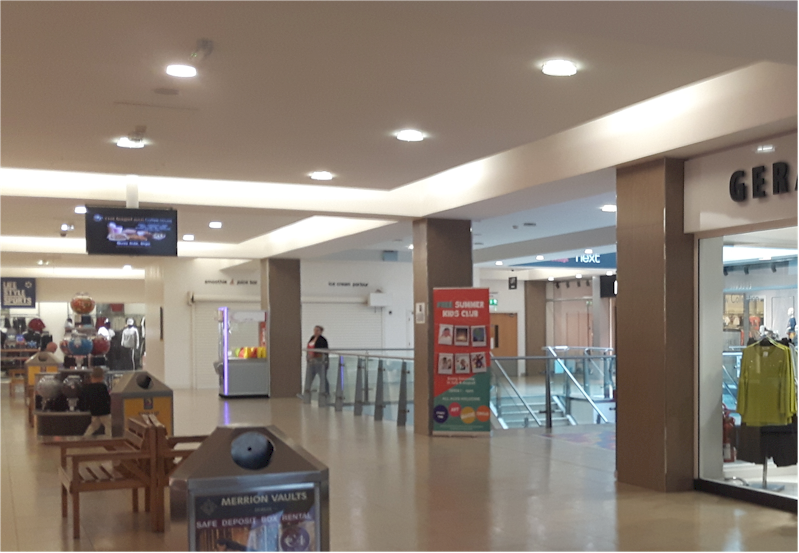 Important announcements can be made such as Health & Safety messages and to alert shoppers to special events and celebrations taking place during their visit. A variety of different presentations to promote shops, way finding and information can be displayed on screens at various times of the day. With Repeat Signage digital signage software you can easily add presentations, adverts and images into a playlist, which can be scheduled to display at any time of the day or week. Ideal for planning forthcoming announcements and events. Content can easily be updated in-house via the local network or remotely over the Internet with no on-going costs. Digital signage helps to increase sales and create significant brand awareness. Plus it is ideal to guide shoppers to specific areas or stores, especially during Sales, St Patrick's Day, Back to School, Birthday, Christmas and other significant events. 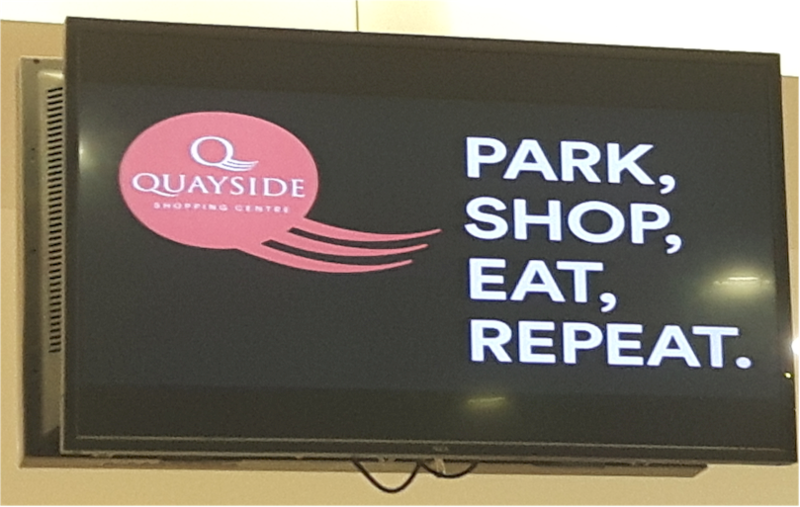 Repeat Signage is user-friendly, professional digital signage software with a host of features to showcase shopping centres, stores and create brand awareness. Includes scheduling, remote updating of content and touch screen support. The one-time payment software licence fee includes online training videos, sample presentations, an RSS feed creator and email technical support. Software comparisons. Digital signage hardware and software solutions can be supplied in Ireland through AVA Systems, Sligo.